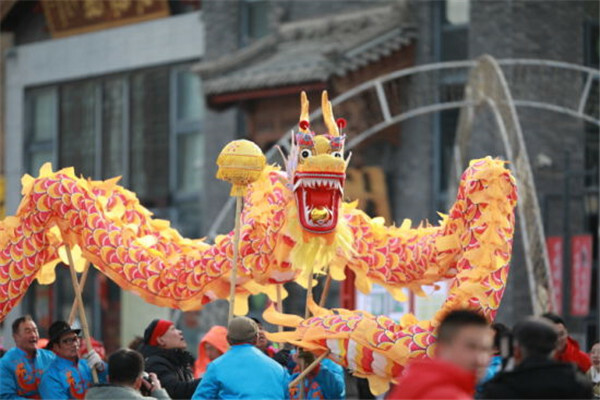 The annual Spring Festival temple fair opened at Dazhao Temple in Hohhot, Inner Mongolia autonomous region, on Feb 10, the sixth day of Lunar New Year, attracting crowds of visitors to the event. The fair, which has been held for the past 11 years, includes 54 exciting activities this year, with the aim of promoting the culture of the region's ethnic Mongolian minority, as well as marking the 70th anniversary of the founding of the People's Republic of China. This year, events including Shehuo performances, allegro, and storytelling will be staged for visitors, and local craftspeople will demonstrate some of the region's most exciting artistic traditions, including paper-cutting, sugar-figure blowing, lion dancing and stilt shows. In addition, a variety of local snacks are on offer for visitors. 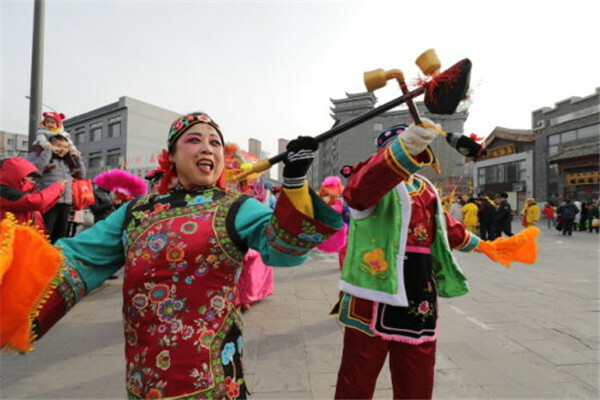 People are able to enjoy performances by some of the best Ulan Muqir art troupes, as well as New Year concerts and ethnic rituals –– all for free, said Ren Jie, deputy director at the local department of culture, press, publication, radio, film and television. The fair is set to last until March 2.